By now, it is no secret that Old Man Winter has fully set in. 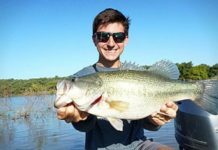 Temperatures are generally cooler which has had an impact on the water and ultimately the fish. 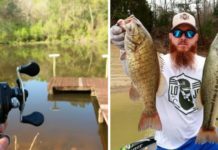 Most anglers know that in order to be successful during this time of the year they may need to approach each outing a bit differently. 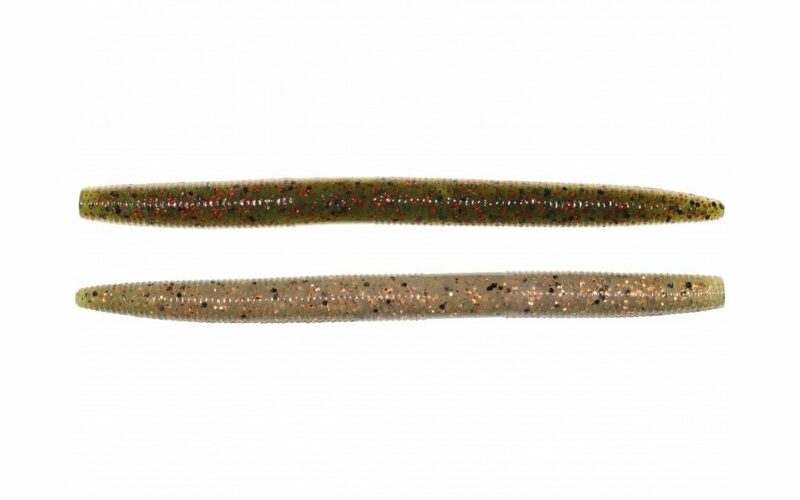 One of these main differences is downsizing baits. The Rapala Shad Rap is a staple in nearly every anglers tackle box. This lure has caught an inconceivable amount of fish of all species since its inception. It is best known for its subtle swimming action and its effectiveness in cold water. 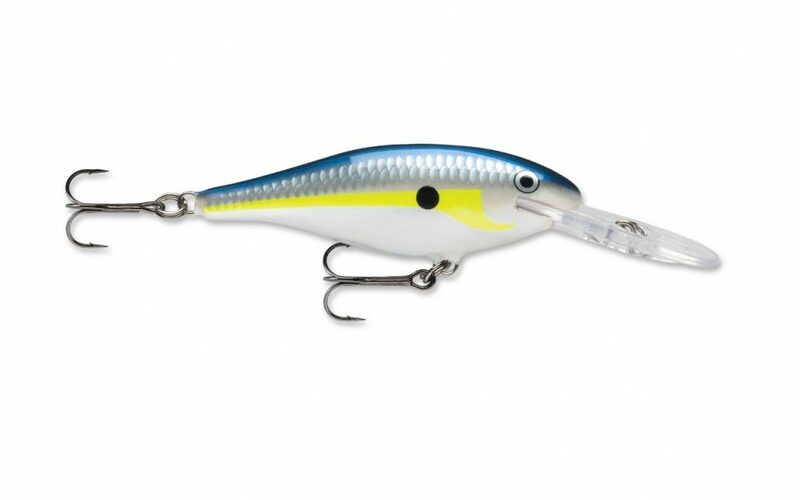 Fish the 2.75″ Shad Rap on light fluorocarbon line on either spinning or baitcasting tackle and watch the magic happen. Target warmth-hoarding pieces of cover like laydowns, rip rap and docks with a slow steady retrieve. This may very well be the simplest bait in all of fishing. In literal terms, the bait is basically a soft stick of plastic. However, it’s simplicity is what makes it so deadly. The minimalist appearance of a senko worm is nonintrusive yet enticing to bass. The bait generally comes in a standard 5″ length. However, because the bait is made of soft plastic, anglers are able to cut down the bait to whatever size necessary. 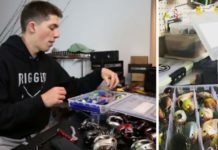 In particular, the Yamamoto Senko is known as the Mercedes Benz of senkos because of its vast selection of colors and ultra-soft plastic, making it irresistible to all fish. 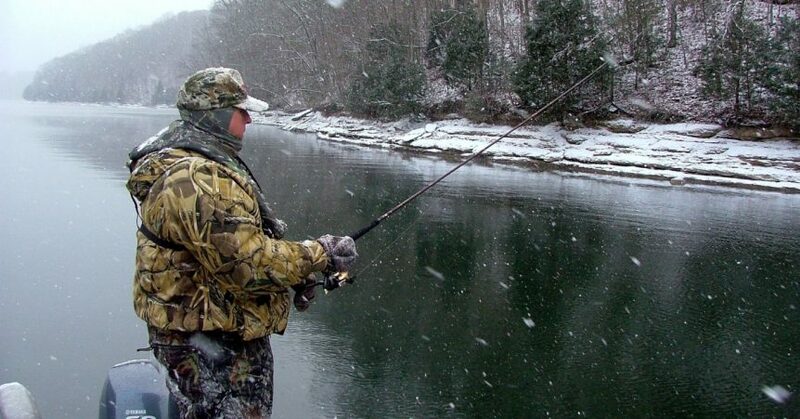 You simply cannot talk about winter fishing, downsizing, and finesse tactics without a jig as part of the conversation. Similar to the Shad Rap, the jig has been around for what seems like forever. It comes in many colors, shapes, sizes, and styles. However, in the winter, a finesse style jig is your best bet for getting bit. 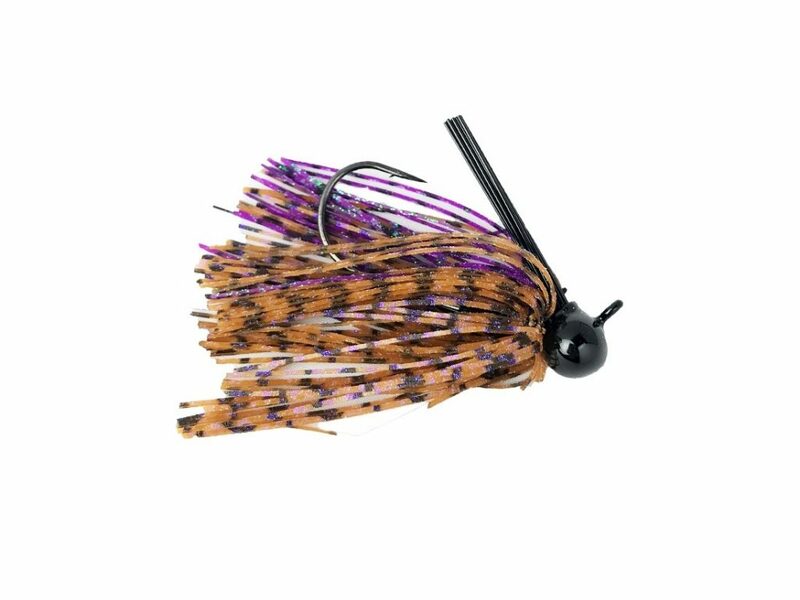 One of our favorites is the Terminator Finesse Jig because it features a quality VMC hook, single wire weed guard, and a low profile. It’s a super durable jig that can be long-casted in nearly any depth range. For water 10′ and under, use the 3/16 oz model. Anything deeper than that, your best bet is the 1/4 oz size. If you haven’t noticed the pattern of baits in this article, it is really quite simple. Minimalistic and subtle baits that can move slow and stay in the strike zone longer. These features are critical in cold water. 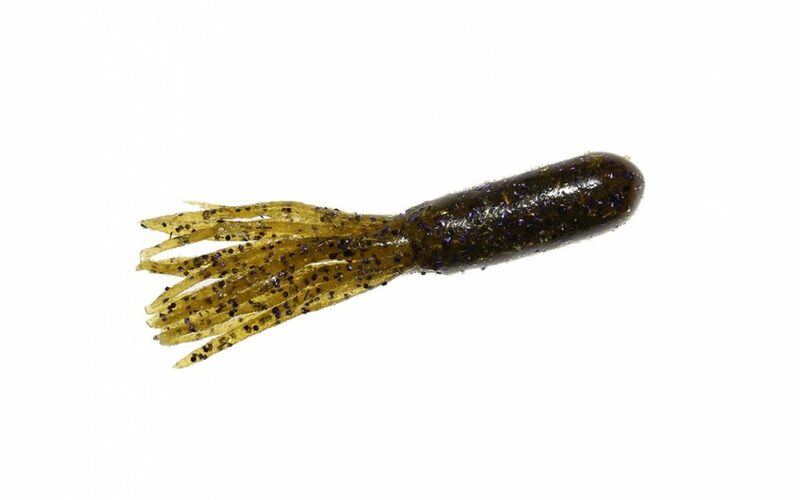 Continuing with this trend of baits, we give you the fourth and final cold water killer: the tube. Another seemingly “do nothing” bait, the tube is known for its fish catching abilities in both warm and cold water. However, its tantalizing tentacles (say that five times fast) shine when water temperatures drop below 60 degrees and fish are finicky. In winter, the tube is best when fished on a light (3/16 or 1/4 oz) tube head and dragged at a snail’s pace along the bottom near or on rocks or other hard bottom areas. Try Karl’s Amazing Baits Snacc Tube. It is a 3.5″ fish-catching machine that is durable yet super soft. To get the most out of each bait, carry a bottle of super glue in the boat. All tubes, no matter how tough, will eventually split or break. Use the glue to piece them back together and help them stay on the jighead longer.